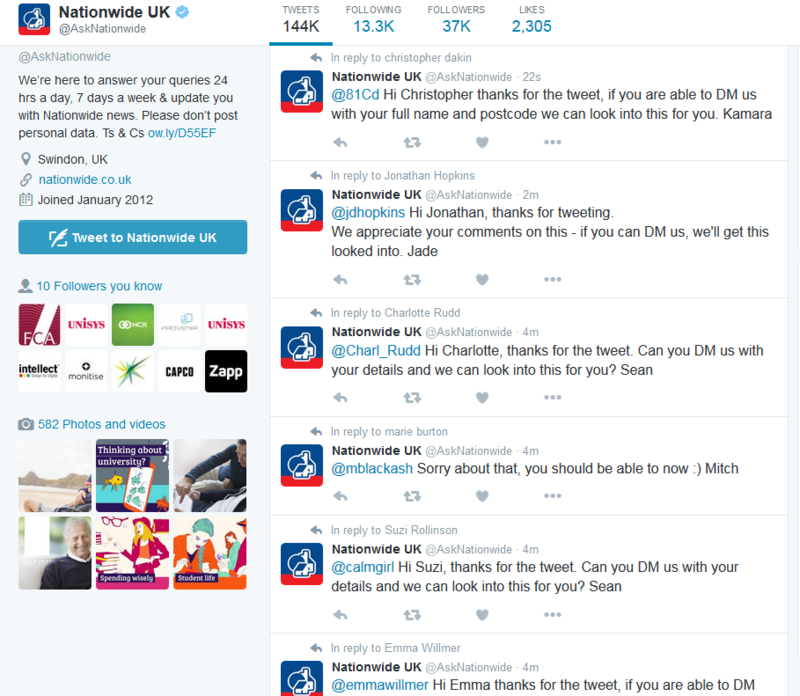 Customers of Nationwide Building Society in the UK have taken to Twitter to report a host of problems – with direct debits and standing orders not being paid. According to users on Twitter, the bastion of rage and anger, mortgage bills and other payments have not been made. The problem may have severe repercussions as defaulting on mortgage repayments and other bills can affect credit ratings and customers could be hit with late fees. Nationwide is investigating the problem and will provide updates later. It’s not the first time Nationwide customers have experienced these kinds of issues. In June last year a glitch brought down the building society’s internet and mobile banking. A similar problem affected customers in 2013. Nationwide contacted Banking Technology about this issue. A spokesperson says: “We are aware of an issue with a limited number of standing orders and internal transfers. Direct debits have been processed and paid but there is a slight delay in these direct debits showing on customers’ accounts. Balances will be updated today. “We will make sure that customers are not out of pocket as a result of this issue. The second investment in its £50 million Venturing Fund. Mobile activity by customers has prompted the society to invest in the sector. Adds another £1.3 billion to its five-year plan. They say it's the first relationship of its kind in the UK. Apple Pay will be available in the UK from next month, with eight of the UK’s most established banks and the major credit and debit card networks supporting it – along with Transport for London.